found the Health Department had paid hundreds of influencers to post fitness photos on their Instagram accounts, with some understood to get as much as $3000 a post. It also revealed that some of the influencers selected had previously been associated with alcohol companies and extreme dieting products and others had previous controversial conduct questioned. Following the investigation, Federal Health Minister Greg Hunt has ordered an immediate review into his own department's use of Instagram influencers. A spokesperson for Hunt said the minister "did not endorse" the Girls Make Your Move Instagram posts and "found them offensive". The agency responsible for the campaign no longer has the Government advertising contract, the spokesperson added. AdNews understands social influencers were employed via a partnership with Hypetap and the brief was also listed on influencer marketing platform Tribe at some point. Hunt has since issued an additional statement saying there would need to be "a demonstrated benefit and demonstrated suitability" of any influencer going forward. "At my request, the Department is pausing and reviewing any use of influencers," he said in a statement on Saturday morning. "For this to recommence ... there would need to be a demonstrated benefit and demonstrated suitability of any individual going forward. "This would need to include a thorough assessment and vetting process linked to improving the health of Australians." The campaign, which launched in 2016 to "address the lower level of physical activity and barriers faced by young Australian women", was inspired by Sport England's This Girl Can initiative, which encouraged millions of women to be more active. Founder of influencer company Gravitas, Natasha Cormier, said it's a classic error in influencer selection. 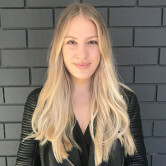 "It’s all about a lack of due diligence when choosing the influencers," she tells AdNews. "One of the key things that is missing from some of the discover methods out in the market is that they are selecting the influencers and not checking through their content. We always say to brands you should follow them before you work with them." The Federal Government has spent more than $600,000 on influencer marketing in the past 18 months as part of the #girlsmakeyourmove social media campaign. An investigation by the Daily Telegraph found the Health Department had paid hundreds of influencers to post fitness photos on their Instagram accounts, with some understood to get as much as $3000 a post.